Are health star ratings giving sugary products a health halo? We look at criticism of the ratings and what can be done to fix the system. The controversy started in the cereal aisle. Weet-Bix rating as a five-star breakfast food didn’t ruffle any feathers. But when Kellogg’s Nutri-Grain and Nestle’s Milo cereal made an entrance with four stars, criticism of the health star ratings followed. Both products are more than a quarter sugar. 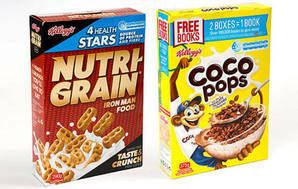 Health star ratings feature on about 1500 packaged foods. It’s the cereal aisle where they’ve been the most numerous and caused the most commotion. But ratings flak is spreading to other aisles as more stars come out. Nestle has been in the gun for the 4.5-star rating on its chocolate powdered Milo drink. Across the Tasman, high star ratings on chips and confectionery have also met with disapproving sounds. 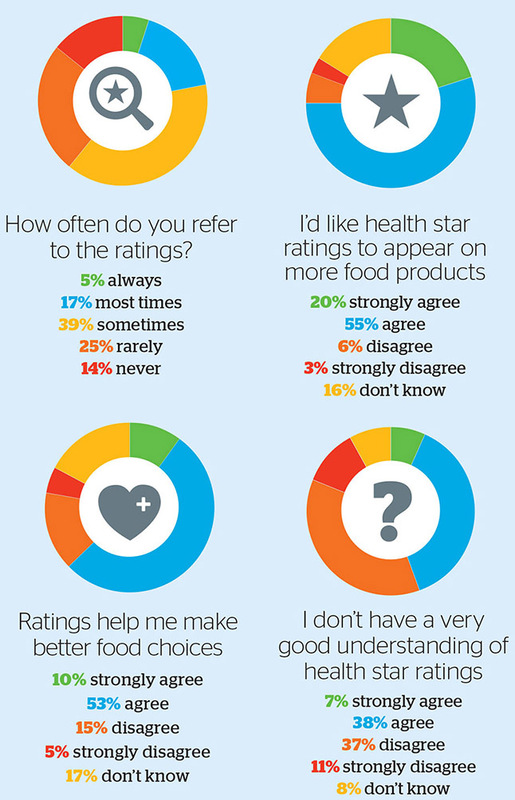 Health star ratings are intended to make it easier for consumers to choose healthier options. Backed by governments on both sides of the Tasman, they’re being rolled out voluntarily by food manufacturers. At last count, 22 companies here were using the ratings on at least some of their products. Our recent survey research with Australian consumer watchdog Choice found most shoppers are aware of the ratings. Sixty-one percent of Kiwi consumers have seen the stars on food packaging and the majority (75 percent) would like to see them on more products. Have you seen the health star ratings on food packaging? Among those aware of the ratings, 22 percent refer to them often, 39 percent sometimes, with the rest (39 percent) rarely or never using them. Shoppers who use the ratings tend to look at additional information on the pack such as the ingredients list (60 percent) and nutrition information panel (69 percent). Most shoppers (63 percent) think the ratings help them make healthier food choices. However, one in five (20 percent) disagree. Results suggest high star ratings on sugary foods are affecting consumer perceptions of the scheme. A significant proportion want changes in how star ratings are displayed on these products to ensure shoppers can make informed choices about what they’re buying. Star ratings are calculated on the positive and negative nutrients in a food. The positive parts, such as fibre and protein, can offset the negative – think sugar, saturated fat and sodium. It’s the reason why some high-sugar products can still get high stars. A majority of respondents felt ratings should be mandatory on foods with high levels of sugar, fat or sodium: 21 percent wanted a limit on the number of stars these foods could display. Twelve percent thought the products shouldn’t be allowed to display any stars. Just 13 percent were happy with the status quo. Our survey also found overwhelming support for labelling of added sugars in processed foods. Existing labelling rules only require manufacturers to list total sugars. There’s no distinction between intrinsic sugars – those present in fruit, veges and milk – and added sweeteners, such as sucrose, glucose, honey and syrups. Eighty percent of respondents wanted added sugars to be clearly labelled in the ingredients list; 71 percent also thought manufacturers should be required to list both total and added sugars in the nutrition information panel. OUR DATA are from a joint survey with Australian consumer organisation Choice that was carried out online in July 2016. Results are based on a nationally representative sample of 530 New Zealanders and 1010 Australians. Unless otherwise stated, data reported in this article are for the New Zealand sample. Figures have been rounded so results may add to +/- 100 percent. 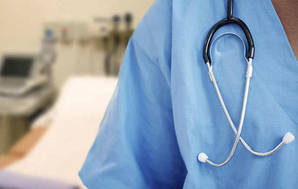 The trans-Tasman Health Star Rating Advisory Committee, responsible for monitoring the voluntary roll-out and providing advice to government ministers, has begun a two-year progress review. Labelling consistency, ratings use and the nutritional value of products carrying the stars are on the agenda. Together with Choice, we’ve written to the committee providing recommendations to address consumer concerns. Our key recommendation is for star ratings to be capped at a low level on foods high in sugar, saturated fat or sodium. If sugary snacks can qualify for high ratings, we think consumers will increasingly lose confidence in the system. High star ratings on these foods also risk misleading shoppers that the products are a better choice. In line with the World Health Organization’s recommendation to limit intake of added sugars, we’ve asked the committee to investigate amending the rating calculations to specifically account for these ingredients. At present, star ratings are calculated on total sugars: added sugars don’t score any extra penalty points. We’re also calling for the rating guidelines to be amended to prevent manufacturers basing calculations on unrealistic assumptions about how the product will be prepared – the Milo problem (see “Is this fair?”). The committee is expected to provide its report to government ministers by the end of this year. A further five-year review is scheduled for 2019. Health stars guidelines let companies calculate product ratings on an “as prepared” basis. 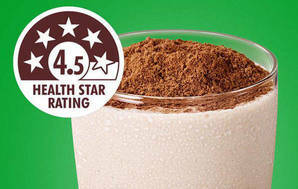 Nestle calculates Milo’s 4.5 star rating based on mixing three teaspoons of the chocolate powder with skim milk. It’s the skim milk that boosts the number of stars. On its own, Milo scores 1.5 stars. However, our survey found just a quarter of Milo drinkers mix the powder with skim milk. We asked survey participants whether some products should be allowed to calculate star ratings “as prepared” with other ingredients. Forty-seven percent thought all ratings should be calculated based on 100g or ml of the product alone. Fewer (37 percent) thought some products should be allowed to calculate ratings “as prepared”. Sixteen percent didn’t know. In 2015, Kellogg’s reformulated Nutri-Grain, which increased its health star rating from two to four stars. However, this new formulation still has 27 percent sugar – that’s nearly three teaspoons in a 40g serving. So how does this sugary cereal still earn such a good rating? A food is rated on its overall nutritional value, so the positive aspects of a food can offset its downsides. To achieve its new rating, Nutri-Grain now has 5.1 percent fibre (up from 2.7 percent), less sugar (27 percent down from 32 percent), and less sodium (360mg per 100g, down from 480mg). On the other hand, Kellogg’s Coco-Pops only manages a two-star rating. Like Nutri-Grain, it’s a high-sugar cereal (37 percent), but has lower levels of protein and dietary fibre. What are health star ratings? A health star rating is a front-of-pack label that’s similar to the energy-efficiency star ratings you find on appliances. It gives “at-a-glance” information about a packaged food’s overall nutritional value. The ratings range from half a star to five stars, with the more stars the better. The number of stars is based on nutrient-profiling criteria developed by Food Standards Australia New Zealand. It is based on 100g or 100ml of a product and considers the positive and negative aspects of a food. The positive aspects are the food’s dietary fibre and protein, and how much fruit, vegetables, nuts or legumes it has. The negative aspects are energy content, saturated fat, total sugars, and sodium. These nutrients are associated with increased risk of chronic diseases such as heart disease and obesity. As well as a star rating, product labels can show other information such as an energy icon, three negative nutrient icons (one for saturated fat; one for sugars; one for sodium), plus a fourth nutrient icon (a “positive” nutrient, such as iron, chosen by the manufacturer). The nutrient icons can also state whether a nutrient is high or low, such as low sodium, low sugar. Will it be on all foods? No. The rating system was designed to be used on packaged foods. You won’t see it on fresh produce. Ratings can’t be displayed on alcohol or special-purpose foods such as infant formula and toddler milks. The system is voluntary so manufacturers can choose to use it on all, some or none of their products. Can I compare cooking oils with cereal? No. Different nutrient thresholds are used for drinks, dairy foods, oils and spreads, and cheese products. So the ratings should be used to compare similar products. Why does a “natural” product, like butter, have fewer stars than a table spread with lots of additives? The rating system looks at a food’s nutritional profile. How natural – or processed – a food is isn’t part of the equation. Why isn’t the rating based on serving size? There are no serving size rules in New Zealand, so manufacturers have different “suggested” serving sizes for the same type of product. The rating system is a government-led initiative and was developed with input from public health and industry groups.